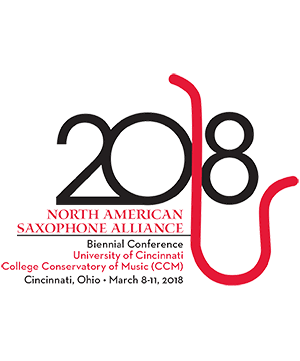 Zach Shemon is Assistant Professor of Saxophone at the University of Missouri - Kansas City Conservatory of Music and Dance, alto saxophonist in the PRISM Quartet, and is on the Interlochen Arts Camp faculty. His former students hold teaching positions throughout the US and have been finalists in national and international competitions. He has released dozens of recordings and performed worldwide with the PRISM Quartet, including performances in Saint Petersburg, Russia and with the Los Angeles Philharmonic. Shemon was awarded 1st prize at the inaugural ISSAC Competition and has appeared as a concerto soloist with bands and orchestras throughout the world. He holds degrees from the University of Michigan and Indiana University, where he studied with Donald Sinta and Otis Murphy, respectively. Shemon performs on Selmer (Paris) saxophones and D’Addario Reserve reeds, aids in product research and design for D’Addario Woodwinds, and is an active clinician throughout the US.